Indian pharmaceutical firm Zydus Cadila has recently announced that the company has received final approval from the health regulator of the U.S. for marketing Aripiprazole tablets, an antipsychotic drug. 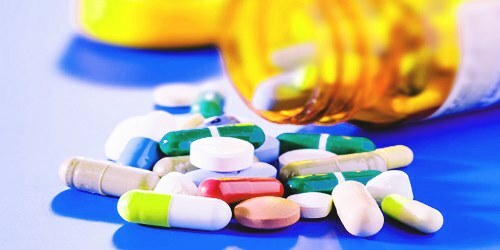 The company said in a BSE Filing that the United States Food and Drug Administration (USFDA) has granted an approval to market the drug in the strengths of 2 mg, 5 mg, 10 mg, 15 mg, 20 mg, and 30 mg.
Zydus Cadila further said that the drug would be manufactured at the formulations manufacturing facility of the group at Moraiya, Ahmedabad. The antipsychotic drug (atypical type), Aripiprazole, is allegedly used in treating mood/mental disorders, for instance, Tourette's disorder, schizophrenia, bipolar disorder as well as irritability associated with autistic disorder. The drug is utilized in combination with various medications for treating depression. It would also work by assisting in restoring the balance of specific natural chemicals in the brain (neurotransmitters). Since the group has started filing abbreviated new drug applications (ANDAs) in 2003-04, it has been seemingly granted over 243 approvals, and has filed more than 330 ANDAs since then. For the record, the leading pharma company Zydus Cadila is a global, fully integrated healthcare provider. The company has strong capabilities with in-depth domain expertise in the healthcare field across the spectrum of the pharmaceutical value chain. From active pharmaceutical ingredients to formulations and wellness products to animal healthcare products, the company has built a reputation amongst Indian pharmaceutical corporations for delivering complete and comprehensive healthcare solutions. Following its brand promise to be dedicated to life in all the dimensions, Zydus Cadila purportedly keeps on innovating with an unswerving focus for addressing the healthcare needs that are unmet. The company also simultaneously rededicates itself towards its mission to create healthier, happier communities around the world.